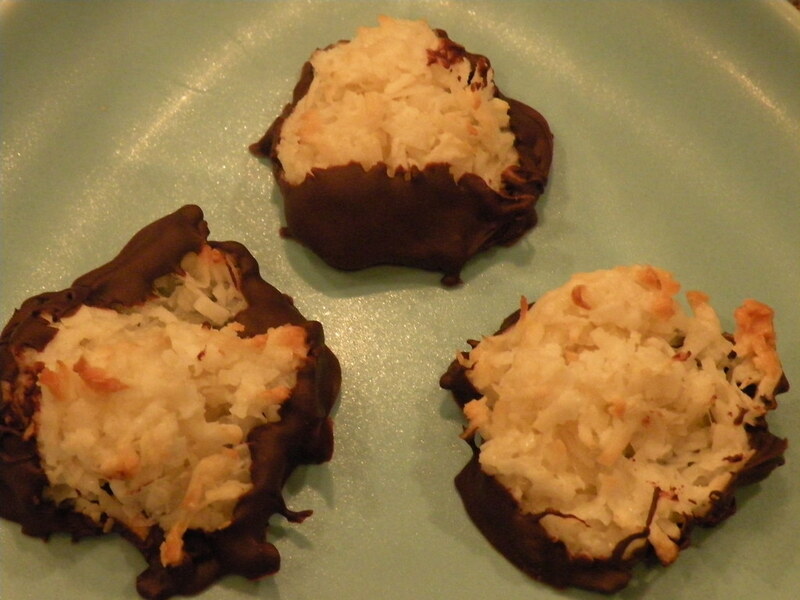 found this delicious recipe on the back of a bag of coconut and the result was pretty delicious. 🙂 they taste like little almond joys! mix coconut, sugar, flour, and salt in large bowl until the coconut is evenly coated. stir in egg and almond extract until well blended. drop by well rounded tablespoonfuls onto a non-stick baking sheet. bake at 325° for 20 min. or until edges of cookies are golden brown. immediately remove from cookie sheets to wire racks. cool completely. to make them extra delicious, dip them in chocolate!